6sqft’s new series Apartment Living 101 is aimed at helping New Yorkers navigate the challenges of creating a happy home in the big city. 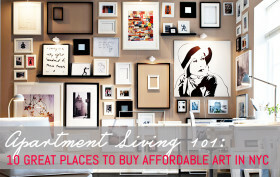 This week we take on framing artwork for the home without spending a lot of money. If you’re familiar with 6sqft’s post 10 Great Places to Buy Affordable Art in New York City, then you’re probably now considering framing your new acquired artwork. 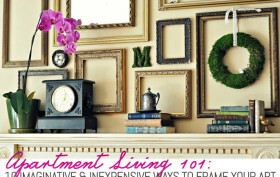 Whether you are trying to get something framed, or you have a collection of frames just lying around, knowing how to approach the framing process will help make sure that your home decor and your efforts are on point. From where to find great frames on the cheap to creating your very own DIY editions from materials bought at your local hardware store, 6sqft has rounded up some inventive and inexpensive options to help you decorate your walls.